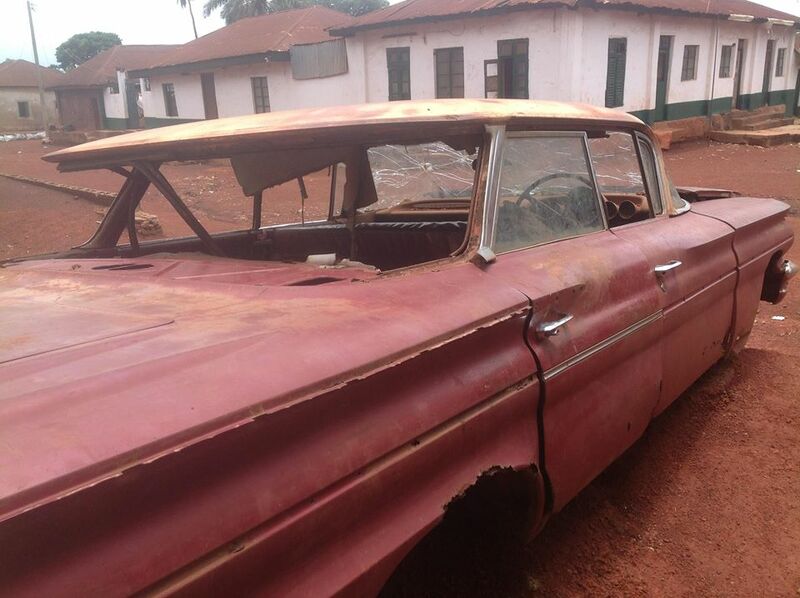 The wreckage of the official car of Nigeria’s Minister of Mines and Power in the first republic, Jacob Obande has been found parked in Otukpo, Benue State. 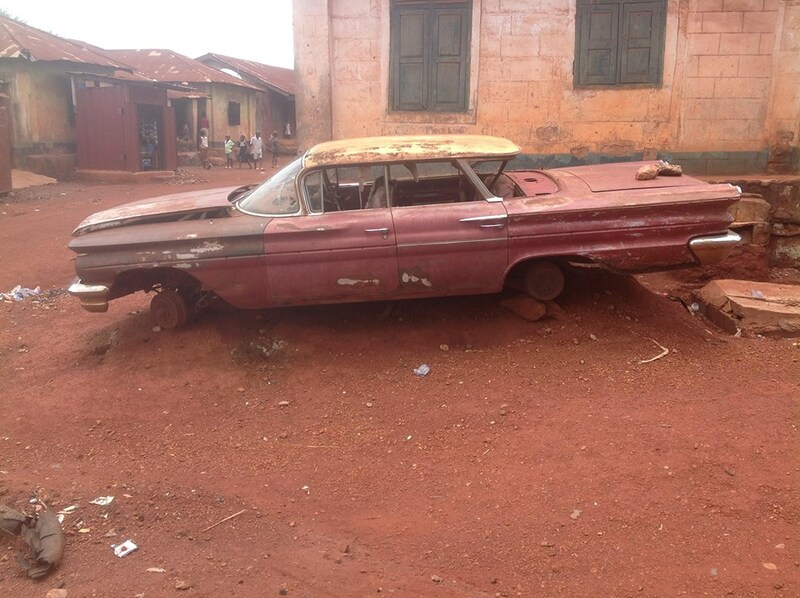 NairaNaijaNews observed that the red-coloured nameless vehicle without tyres and engine is still parked at Chief J C Obande Street Otukpo. Jacob Obande was a minister of state in charge of the Nigerian Army and Establishments during the Nigerian First Republic and was also a Minister of Mines and Power. In 1958, he was the parliamentary secretary to the Prime Minister, Tafawa Balewa. Obande was born in Elelazi, Igumale, Benue State, to the family of Obande Ochogbo, the district head of Igunmale. He was educated at the Methodist School in Igunmale and later attended the Teachers Training College, Uzuakoli. After completing his teacher’s training program, he began work as a teacher before subsequently working as an hotelier, clerical officer and contractor with the Nigerian Railways. In 1951, he was an honourable representative from Idomaland in the Northern house of Assembly and later in 1954, he became a member of the Idoma/Otukpo Local Authority. Throughout his life, Obande served as member of various boards, including, Nigerian Ports Authority, Nigeria Airways, Nigeria Hotels, Benue-Plateau Marketing Company and Nigeria reinsurance. In 1959 Obande defeated other contenders to win the Idoma South East parliamentary elections.